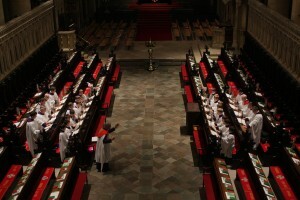 Ten days after the departure of Rowan Williams, the College of Canons met by Sovereign demand to seal the election of the 105th Archbishop of Canterbury. The process to elect the next Archbishop by the Cathedral community goes back over a thousand years and is enshrined within the Cathedral’s constitution. The vote took place in the Cathedral’s 14th century Chapter House; all 35 members of the College were present and added their signatures to a formal notice addressed to the Queen confirming Bishop Welby as the new Archbishop. 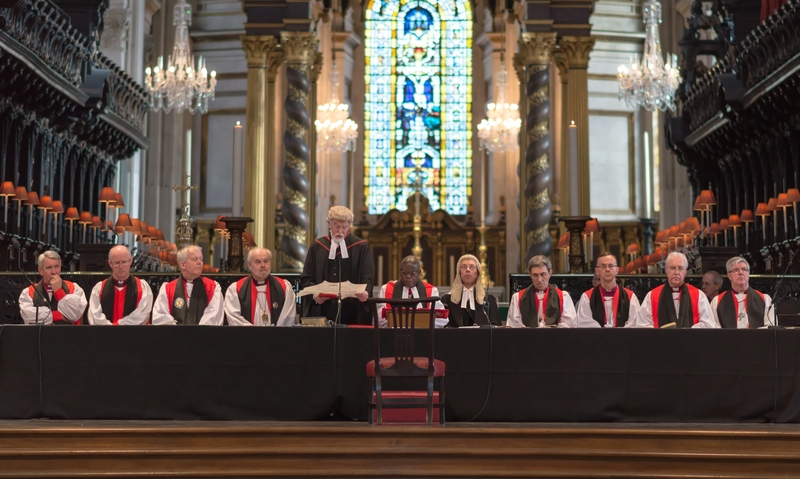 On Monday 4th February, following on from the Cathedral’s election, the legal ceremony, The Confirmation of Election, took place at a Service held in St Paul’s Cathedral in London. During the Confirmation Service, the Dean of Canterbury, the Very Revd Dr Robert Willis, confirmed to an episcopal commission that the Archbishop-elect had been elected according to statute and custom. 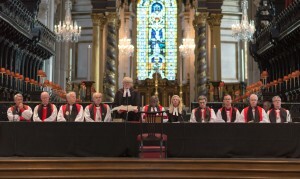 The ceremony of Confirmation formed part of the process by which the appointment of the new Archbishop of Canterbury was effected, and was attended by the Archbishop of York and the bishops of Norwich, Leicester, Lincoln, Rochester, Winchester, Salisbury, and London. 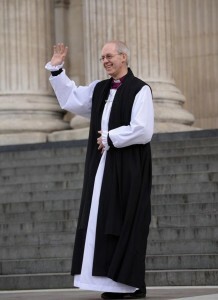 At the end of the Service, the former Bishop of Durham became the Most Reverend Justin Welby, Archbishop of Canterbury, Primate of All England and Metropolitan. The Enthronement Service to celebrate the start of the new Archbishop’s Ministry will be held at the Cathedral on Thursday 21st March, which incidentally is the Feasts of St Benedict in the calendar of the Prayer Book, Archbishop Thomas Cranmer, a reformation martyr; and it is also the first day of Spring; a sign of new growth and renewal. At the Cathedral, we have been planning for this occasion for many months, certainly before Archbishop Justin’s name was announced; the planning team was called the 105 group, because all we knew at the beginning was that the new archbishop would be the 105th Archbishop of Canterbury. 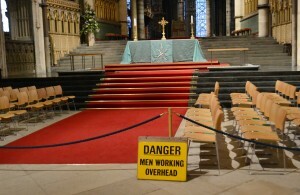 The Cathedral can hold only 2,000 people for the Service and there have been many discussions about whom to invite. Bishops and Archbishops from the world wide Anglican Communion will attend as will the leaders of many churches in Britain and representatives of Jewish, Moslem, Hindu, Sikhs, Jain and Buddhist faiths, along with a senior member of the Royal Family, the Prime Minister and leading politicians. In addition, ballots have been held, so that members of the regular congregation, volunteers, and staff have a chance to attend the big day. The Service will be broadcast live on the radio and on BBC 2. Many hours have been spent with the BBC, planning coverage of the Service; there will be 19 TV cameras inside and outside the Cathedral. 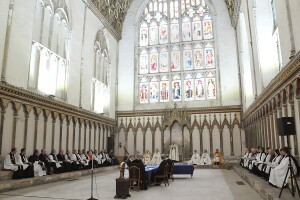 There will also be many TV monitors installed inside the Cathedral, so that all of the congregation can see all of the Service – one difficulty with a full Cathedral is that, having been a monastic building for many centuries, the interior has been divided into discrete areas, thereby limiting lines of sight. In the 10 years since the last Enthronement, most electronic equipment has become much smaller; but curiously the control vans used by the BBC for its broadcasts have become larger, and now cannot drive into the Precincts; so they will be based in the Queningate car park, with cables snaking through the Precincts into the Cathedral. All these cameras will need many lights, which have to be hung from brackets; we are currently testing them to check their loadbearing.The sheer demand for press coverage has meant that a media village will be created to accommodate the camera crews, presenters, photographers and journalists. Live News feeds and broadcasts are expected on the eve of the Enthronement and throughout Breakfast news on the Thursday from the BBC, ITN and Sky. The Enthronement is set to be a colourful celebration of praise and welcome. That’s however, all we can confirm for now as there are details of the Service that are still being finalised by the Dean in consultation with the Archbishop. The choir are rehearsing music, including a new anthem by Michael Berkeley CBE, which has been written especially for this Service and which sets words from the Rule of St Benedict. As the day approaches at rapid speed it’s all systems go inside the Cathedral. 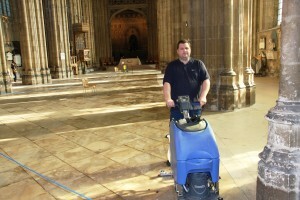 The Cathedral community is working hard to ensure that we will be spick and span and ready for the big day. 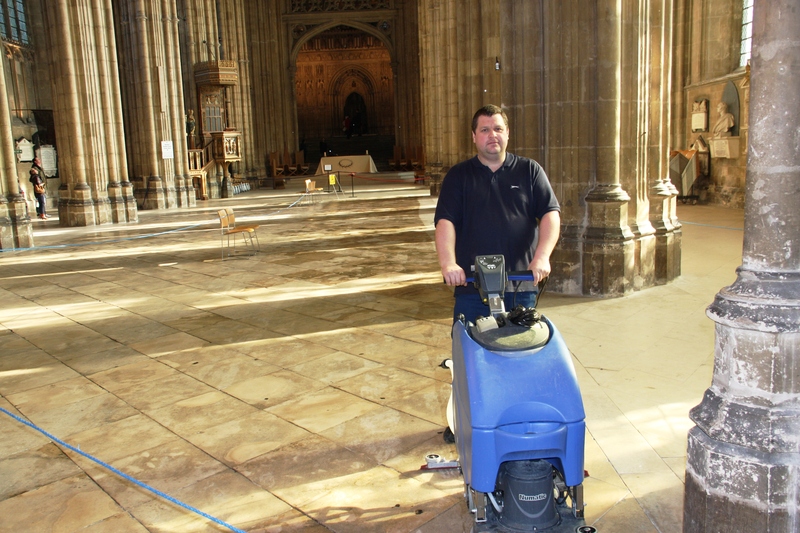 A complete spring clean of the Cathedral is currently in operation. 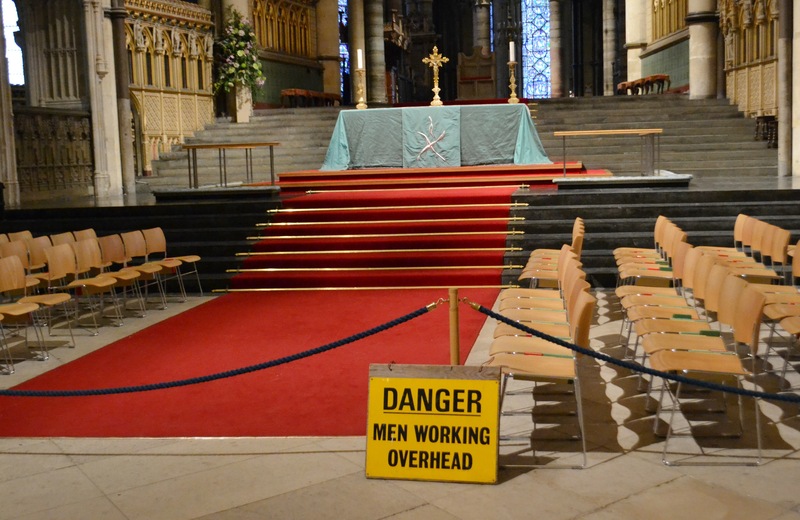 As the Cathedral is dusted from top to bottom (which is not easy when the ceiling is 82 feet above ground) preparations are being put in place to make sure that every candle and flower is where it should be. 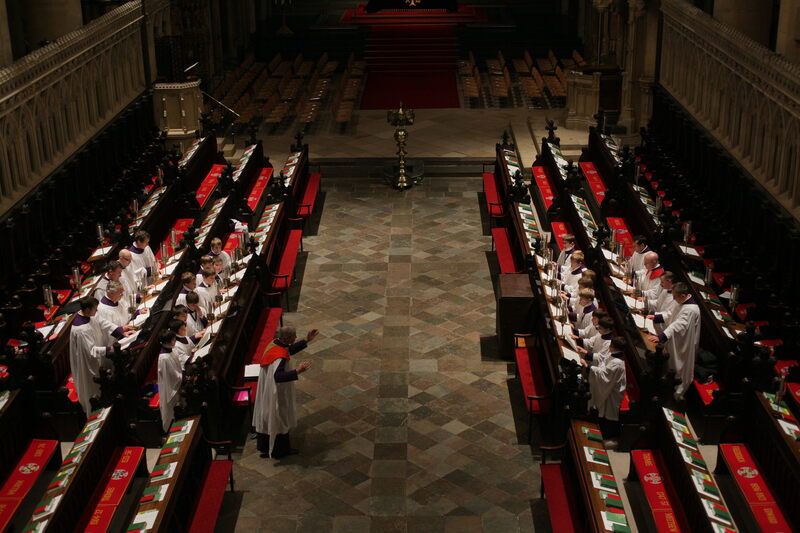 The organ has been tuned and the choristers are practising to make sure that they are (as always) note perfect. Everyone at the Cathedral is looking forward immensely to the 21st March, when we will be able to welcome our new Archbishop with great joy, and offer prayers for the success of his ministry.